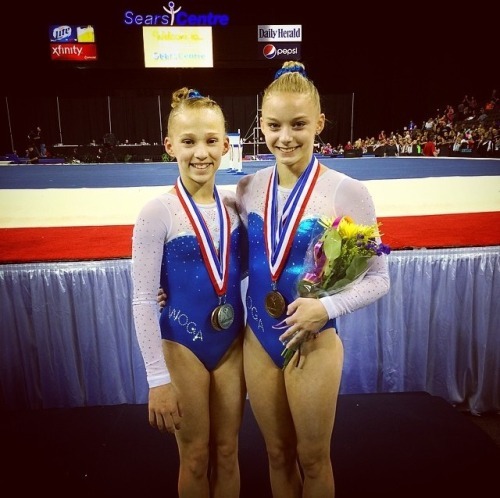 Welcome to the ninth edition of You Asked, The Gymternet Answered! We apologize if we haven’t gotten to your question yet, but we are trying to answer them in order. Something you want to know? Ask us anonymously by going through this contact form below! I’m wondering – if Price, Priessman, Maroney, Ernst, Gowey, Dowell, and Nichols had all been healthy and competing as usual this summer, what would your team for Worlds have been? Good question…I probably would have chosen Biles, Ross, Maroney, Dowell, Price, and then either Locklear, Kocian, or Baumann. Probably Kocian since she’s the best combination of both UB and BB? In TFs I’d have Price, Biles, and Maroney on vault, Kocian, Ross, and Dowell on UB, Kocian, Ross, and Biles on BB, and Dowell, Price, and Biles on FX. Probably. That was a quick estimate but that would be a killer team…THAT VAULT. I might switch things up on floor but I never think of Maroney first for FX in a team final, so Dowell wins it. Any word about Elisabetta Preziosa? She gave up? People assumed she retired at some point around June, but she quickly shot down the rumors on Facebook where she announced that she’s not currently training because of a knee injury. She wants to compete in the future when she’s healthy again and has 2016 on her mind, but for now she’s going through intensive physical therapy and can’t compete. Why do you think Bailie Key took the gienger out of her bar routine? It’s so gorgeous!!! It’s possible she was no longer hitting it the way she did when she first debuted it, when she was smaller? Could also be that they wanted to try different combinations of difficulty in the future. It’s pretty difficult to connect a Gienger to other skills, so maybe they changed it early with greater connection bonus upgrades in mind. How do you feel about Alicia Sacramone’s exit at Olympic Trials? She said so little about not making the team! I still can’t get over it. I can see why she would be upset, though at the same time, Nastia Liukin was also pretty upset and still stayed to answer questions with the press for a solid half hour. Still, Nastia basically knew she had no shot at the team whereas Alicia was thinking she was still part of the equation, especially because she hit two very solid events whereas her biggest competition, McKayla Maroney, only really had vault as an option for team finals despite hitting one nice floor routine. So I think Alicia thought she was still in the picture and it must have been a huge blow to her backstage when she wasn’t named. I know someone who was standing at the exit of the arena waiting for me to leave and she said Alicia ran really quickly out that way instead of the athlete entrance, probably so she wouldn’t have to see fans while being upset. I felt bad for her, but at the same time like when athletes are able to show good sportsmanship even when they’re upset. 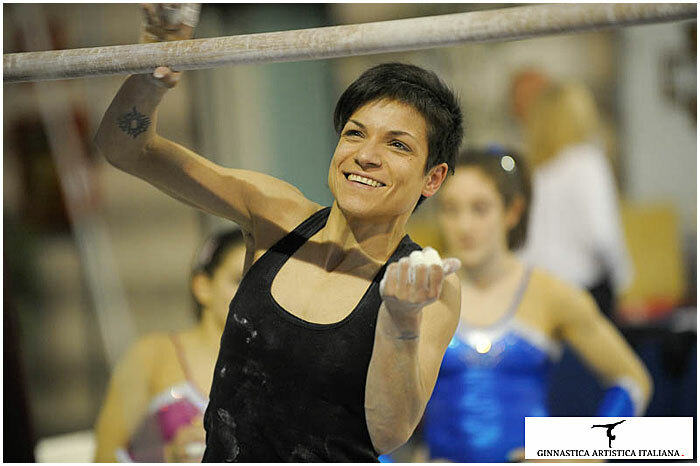 Lisa Mason still training strong, and do some interesting combos and tumbles, do you know where she is competing next? I do not! I would imagine English Championships next season would be her next big meet if she keeps competing. What’s your opinion on Alexis Vasquez? Not many people count her as a Rio candidate but…I can see her as an Aly Raisman and beating someone (Bailie or Norah?) into the all-around in Rio…and she’s better rounded in my opinion than Norah. I love Alexis Vasquez and agree that she’s more well-rounded than Norah Flatley. I’m sure we’ll see both grow tremendously as they reach the senior ranks, but I was really pleased to see Vasquez make the team this year. She was so close last year and that day two bar routine just spoiled everything for her! I like that she is relatively consistent across the board, as opposed to someone like Flatley who has one huge standout and not much else in terms of difficulty (though I’d sell my soul if everyone could do their DLOs like hers). But it’s Chow’s way to hold his girls back until they need to be fantastic on all four, so I’m sure we’ll see both Vasquez and Flatley show up in the next couple of years with lots of upgrades. Do you know what Rachel Baumanns injury was? It was an arm injury. Adriana Crisci looks very strong and improving. Last year she was on the roster for Worlds, but got injured. This year she is not even counted? Know something? All I can say is my perspective based on how I saw her compete this year. She was kind of on the periphery of the team…I think if they could have added one more member, it would have been her. But I think everyone who got added was stronger overall…also, her two best events are vault and floor, but she’s not top four on either event, so it would have been pointless to bring her because they wouldn’t use her outside of qualifications. In the future, if she can up her vault game a bit, it would be cool if they could consider her because it would be nice to see an Italian in the vault finals, but even if they brought her as a VT finalist hopeful, she wouldn’t make the final with her current scores. What do you think of Emily Gaskins? Beautiful floor routine, but do you think she has a realistic shot at Rio? Well, we’re still two years out from the Olympics, so at this point just about everyone has a realistic shot at making it to Rio! You never know who will suddenly have a major breakthrough and peak exactly when they need to. Emily is a beautiful gymnast already with some nice execution scores. For her, it’s all about steadily increasing her difficulty and consistency over the next two years, and proving she can compete internationally with a cool head. 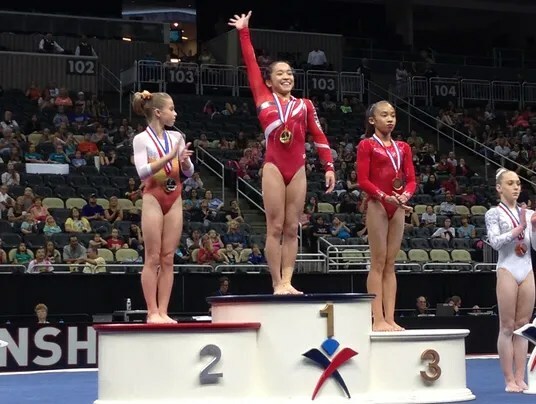 In regards to Lexie Priessman’s and Katelyn Ohashi’s unfortunate birthdays…do you think they would have factored into the London team had they been eligible? I think they could have factored into London. Even if they didn’t look fully ready in 2012, it’s because they were juniors who didn’t train to peak in 2012. If they had been eligible for London, they would have trained to peak that year and would have looked much stronger than they actually did — which, honestly, was already pretty damn strong. I think had they been planning on peaking for 2012, they would have been huge threats, especially Priessman on VT/FX and Ohashi on UB/BB/FX. I know Priessman was training two vaults at one point, and I think if MLT had London in mind for her, we would have likely seen her go for that beginning in 2011 or early 2012. While I definitely understand the preference for being good sportsman when they don’t get what they want, And I congratulate gymnasts who can successfully put on a happy face after disappointment. I think as fans we should also respect the personal desire for some privacy if a gymnast is disappointed. Sometimes it seems like we lump crying and a unconscious quick facial twitch (maroney) into bad sportsmanship. IMO bad sportsmanship is more refusing to shake hands/hugs/congratulations, saying bad things about fellow gymnasts, excessive pouting, etc, but a few secs of tears after realizing you didn’t quite make it or deciding to dash out of an arena because you know if NBC captures your teary eyed face on camera they will spend the next 4 years showing 5min montages of it, are more honest and open responses. 😉 And I’m ok with them. (And lets not forget the last time NBC interviewed Sacremone after disappointment at a major competition, Andrea Joyce really hammered her.) We like it when gymnasts are less robotic and more honest and relaxed with the media, but the ones who are more open also tend to be more open with their emotions. I know Sui Lu got some flack for her initial tears with the silver for Olympics BB EF. Later she said she was happy Deng got gold and felt Deng deserved gold. It was just she didn’t expect to get gold at the Olympics, but after her score and her routine she started to consider it was possible. And I can understand that. Even as an adult, there have been times when something that I dreamed of was suddenly unexpectedly possible, only to just slip away. I remember how upset I felt at first, and even thinking I was being so stupid and childish, because what I did get was amazing. But it took a while to shake the initial disappointment.